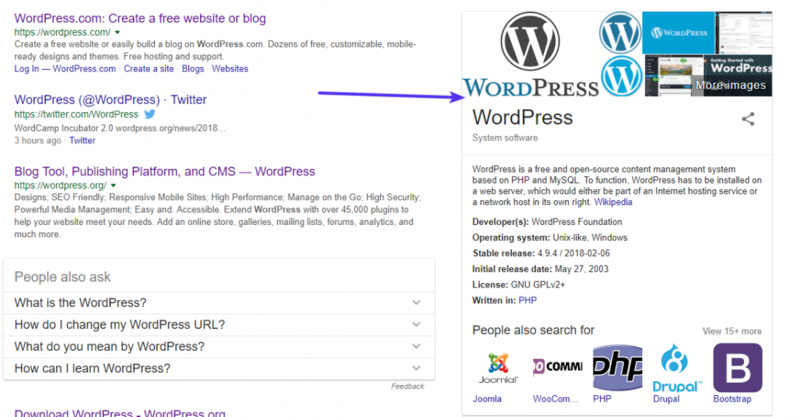 Every WordPress site needs an SEO plugin. And when it comes to SEO plugins, Yoast SEO is far and away the most popular option. WordPress SEO is, unavoidably, a complex topic, though. And to address that, Yoast SEO has built in plenty of complex features to give you pinpoint control over your site’s SEO. As a result, even though the Yoast team has done a great job trying to make SEO beginner-friendly, there’s still a good chance you need some help with how to use Yoast SEO.To give you that help, we’ve written this monster Yoast SEO tutorial. The beginner’s guide to Yoast SEO – in this section, we’ll cover tips for first-time users and casual users. If you’re already familiar with Yoast SEO’s basic settings and the Yoast SEO meta box, you might find it a little redundant. The advanced guide to Yoast SEO – in this section, we’ll cover more advanced tactics like title/meta variables, noindex tags, and more. Even if you’ve already been using Yoast SEO on your site, you can probably get some added value from this section. Ready to learn how to use Yoast SEO? You can click above to skip straight to the advanced section. Otherwise, let’s start at the beginning! Then, in the next section, we’ll get into some of the more advanced Yoast SEO settings. After installing Yoast SEO, you can access the Yoast SEO dashboard by clicking on the new SEO tab in your WordPress dashboard. If this is your first time using the plugin, you should see a big notice for First-time SEO configuration. Go ahead and click that link. Then, on the first page of the wizard, click Configure Yoast SEO. Below, we’ll take you through the rest of the sections in the configuration wizard. Next, choose whether your website represents a company or a person. And if you choose Person, you’ll just need to enter the name of the person. In the Social profiles section, enter all of the social media profiles for your website. Like the previous information, this helps Yoast SEO provide extra details to Google for the Knowledge Graph. If you’re creating a website for a company, this will be your company’s social media profiles. If it’s a person, this will be that person’s details. In the Post type visibility section, you can choose whether or not to allow certain types of content to be indexed in search engines. If you’re the only person writing on your site, Yoast SEO will automatically mark your author archives as noindex to avoid duplicate content (noindex tells search engines not to index that page). Yoast SEO does this because, on a single author blog, the author archives is 100% identical to your actual blog index page. Google Search Console is a tool from Google that allows you to view information about how your site works in Google organic search. If you’re already using Google Search Console, you can allow Yoast SEO to import information by clicking the Get Google Authorization Code and entering the code here. You do not need to do either of these things. Congratulations – you just configured Yoast SEO! In the SEO Analysis area, you can enter a Focus keyword to optimize your content for. Essentially, you’ll want to perform some basic keyword research to find a keyword that people are searching for. Then, you plug that keyword into this box and Yoast SEO will analyze your content to see how well optimized your post is for that specific keyword. The SEO Analysis tab is mostly about how well optimized your content is for search engines. In the Readability tab, Yoast SEO tries to apply that same concept to humans. Essentially, it tries to gauge how readable your content will be to human visitors and then makes some suggestions for how to improve your content’s readability. But if you want to override those defaults, this is where you do it. Now that you have Yoast SEO configured and understand the meta box, let’s take a look at the dashboard. On the main page of the dashboard, Yoast SEO will alert you to any potential SEO issues on your site. Yoast will give you instructions for how to fix the issue. Or, you can always dismiss the notification if you don’t want to address it. The Features tab is a bit juicer than the previous tab. In this area, you can enable or disable specific features of Yoast SEO. Congrats! At this point, you should have a pretty solid understanding of how to use Yoast SEO’s core settings and features. In this section, we’re going to dig into some of the advanced settings that Yoast SEO keeps hidden away. In order to access the advanced areas of Yoast SEO, you need to go to the Features tab in your Yoast SEO dashboard and enable the Advanced settings pages. The Titles & Metas area is an awesome tool for automating much of your on-page SEO. What makes this so powerful is that you can use a wide range of variables to dynamically insert information including information contained in custom fields. If you scroll down to the Advanced variables section, you can find some really neat time-saving hacks. Rather than manually editing the title each month to keep it up to date, you could just use the %%currentmonth%% and %%currentyear%% variables to have Yoast SEO automatically do it for you. Control noindex tags for specific types of content. If you make something noindex, Google won’t index that type of content in the search results. This is powerful so use it carefully. Only change the default settings if you know what you’re doing and the implications. Choose whether or not to show a blog post’s published date in the Google search results (Date in Snippet Preview). If you publish evergreen content, you should leave this turned off. But if you publish news or other time-specific content, it’s a good option. Control whether or not the Yoast SEO meta box should appear for specific types of content. In the Social area, you can configure more general settings for how your site interacts with various social networks. Yoast SEO can help you automatically generate an XML sitemap that you can submit to search engines. More about WordPress sitemaps here. They’re generally regarded as a positive for helping users navigate your site. The Permalinks tab lets you do some cool things to clean up your site’s permalinks. One helpful thing that you can do here is edit your WordPress site’s robots.txt file right from your dashboard. There is no need to SFTP into your site. As we hit the end of this guide, let’s round up with a look at how you’ll actually use Yoast SEO in your everyday WordPress life. Most of Yoast SEO’s options are “set it and forget”. Once you get everything configured, the only area that you’ll use on an everyday basis is the Yoast SEO meta box. Enter a focus keyword. You don’t need to address every single suggestion from Yoast SEO, but trying to get a green light is usually a good goal. Configure the SEO Title and Meta Description. Even if you set up a good template, you’ll still want to manually edit these for most posts to make them as optimized as possible. Any other questions about how to use Yoast SEO? Leave a comment and let’s get your site ranking!